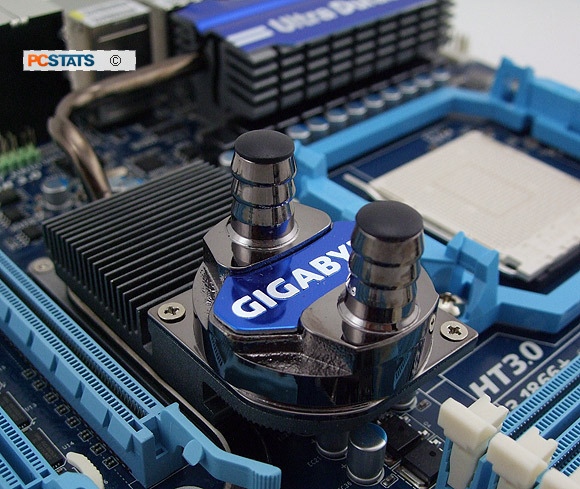 The Gigabyte GA-890FXA-UD7 motherboard comes with this water block attached. 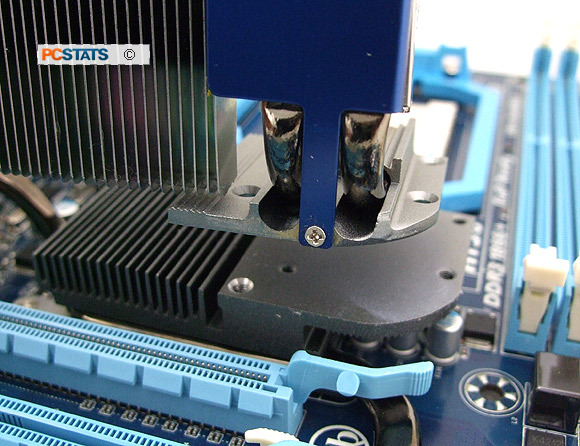 It can be left in place and if you already have a watercooling circuit connected in that way. 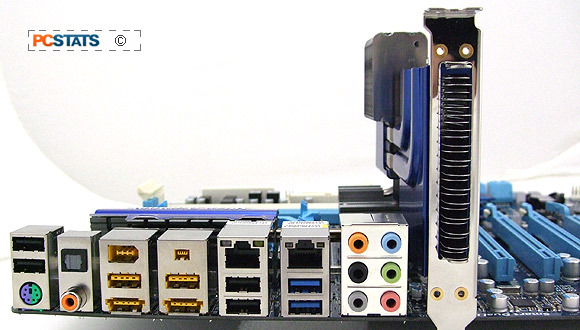 No tubing is supplied, just the custom waterblock for the AMD 890FX northbridge. 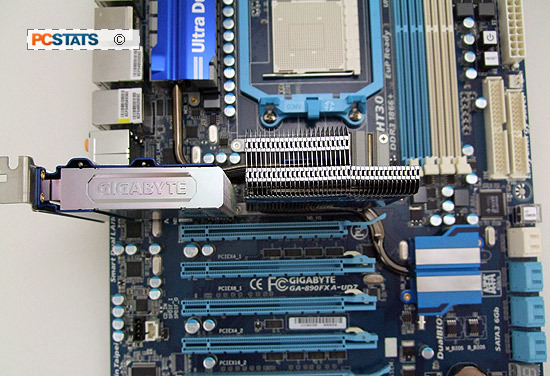 If you don't use watercooling Gigabyte supply a nice passive heatsink to put in its place. Vents out the back of the passive Silent-Pipe allow hot air to exit through this passive heatsink. 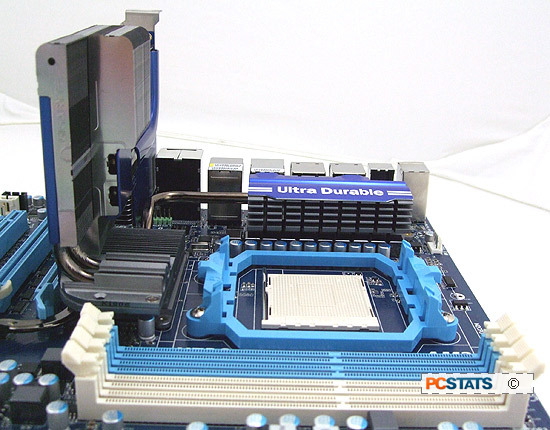 Since the chipsets and CPU VRM are all connected by heatpipe, this can help drop internal case temperatures by exhausting motherboard component heat waste outside of the computer case. Clearance is good around the CPU socket area. 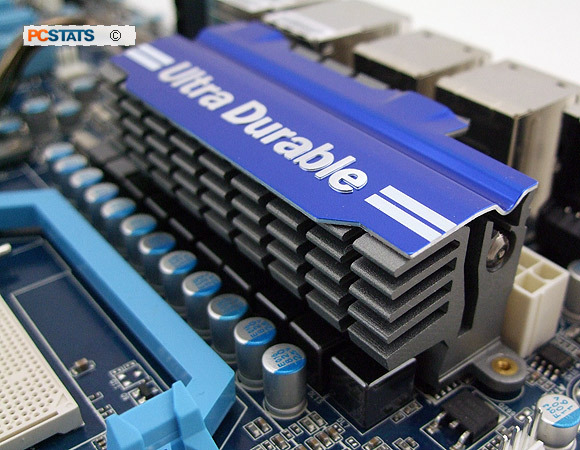 The GA-890FXA-UD7 shouldn't have any problems with large heatsinks from Noctua! 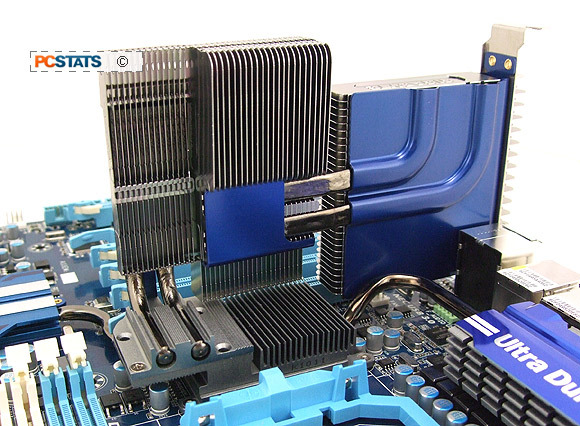 The 8+2 phase power supply for the CPU is cooled by a nice passive heatpipe connected heatsink. 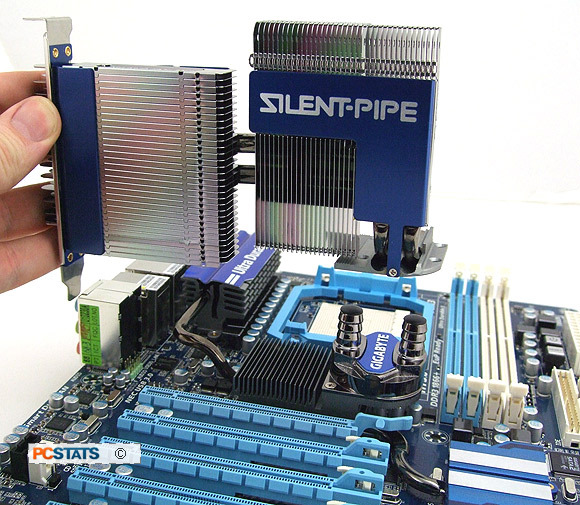 The low profile aluminum heatsink works from air blowing off the main CPU heatsink. The GA-890FXA-UD7 is compatible with 45nm socket AM3 processors of up to 140W TDP, and backwards compatible with a range of Phenom II and Athlon II chips. 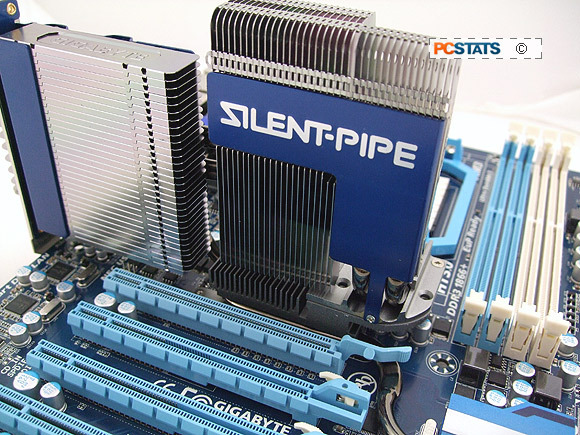 Support for dual-core, triple-core, quad-core and six-core is a given.